Best F1 Car Colourschemes ever ? Mclaren next, but specifically Marlboro. The picture is the 89/90 Mclaren, but im not really specifically relating to that particular model. Marlboro in my view will always have a place, especially the old Mclaren (penske indycar) livery. Down F0rce: "More than a few, but the strangest one was when Jos Verstappen and Enrique Bernoldi scored a one-two for Arrows and were apparantly so impressed by each other's driving, they sang "Wind Beneath My Wings" to each other in the press conference." I still think the RA-106 was a stunning car to look at. No idea why - I just think the car and colour scheme oozed speed and power. The Renault looks good, I like the older Ferraris in a deeper crimson rather than the current cherry red. It shouldn't really be here, but Dave Pinkney's colour scheme (Black and pink) in the BTCC last year was top notch. The lola looks good, best looking chicane I have ever seen. 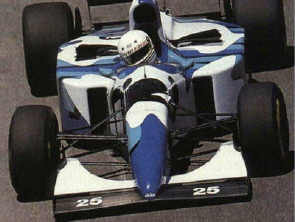 And the Ligier looks like it could be an Estonian A1GP car paint scheme. Best colour scheme, for me the eighties Benettons were always great, the 1983 Renault with teh yellow white and black, Gold Leaf Lotus, JPS Lotus of course. The '30 ans' Renault takes some beating IMO. 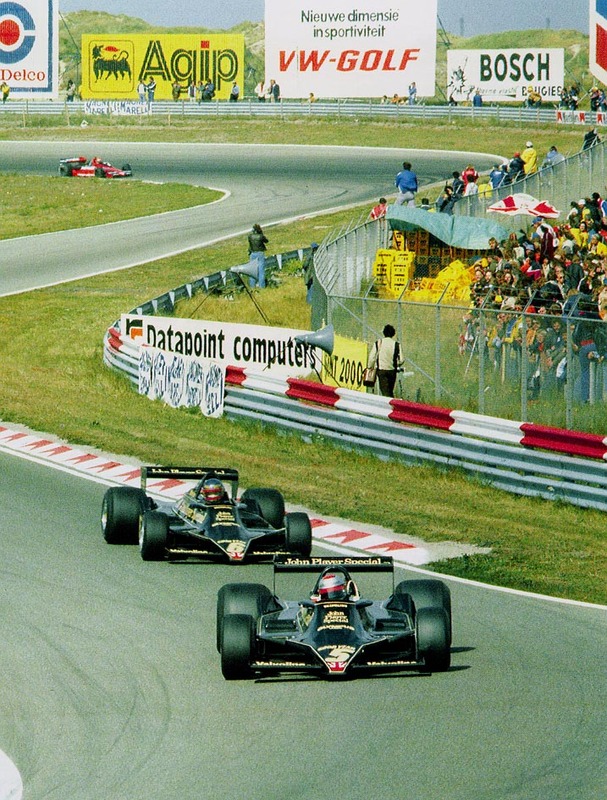 I agree that the early 4 colour Benetton was pretty good, but it is pretty hard to go past Lotus in its JPS guise, especially with a yellow helmet poking out of the cockpit. I was a hell of a looker that car. Always loved that colour scheme. how pointless was that post? 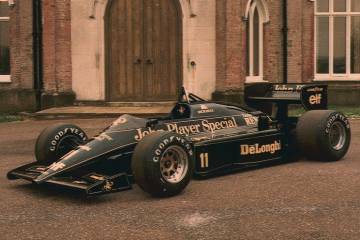 anyway, the JPS Lotus was a stunning car, several nice iterations to choose from but the '78 and '86 cars were my favourites. I liked, the Carlsburg Larousse? And the normal Blue Purple and Yellow Larrouse. "Abe will be remembered as a fighter" - RIP Abe. My favourite at the moment is the Mclaren MP4-22. It looks great. The STR livery I like as well. Of all time...I always liked the West Mclaren livery. TBH the older ones such as the JPS Lotus do nothing for me. The Scarab from 1960. Royal blue and white. You CANNOT go wrong with that. Also Louis Chiron entered a 250F at Monte Carlo in 1958, in white with a red lateral stripe (Monaco's racing colours), a bit like Starsky & Hutch in reverse. Jordan 191 with the 7up livery is my favourite - but also liked the Mclaren Marlboro liveries and some of the old Lotuses [what is the plural for Lotus?! ].